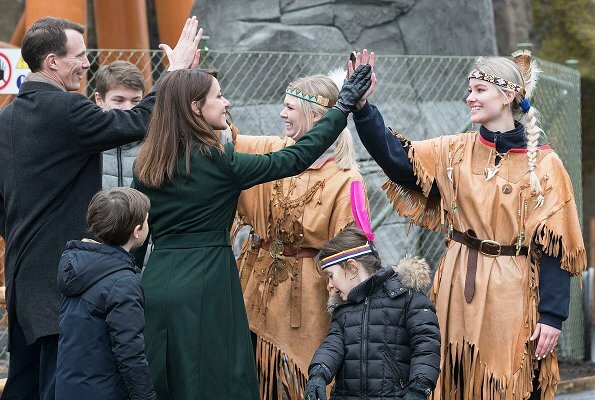 Prince Joachim of Denmark, Princess Marie of Denmark and their children Princess Athena, Prince Henrik and Prince Felix attended opening of LEGOLAND Theme Park's 2018 season in Billund. 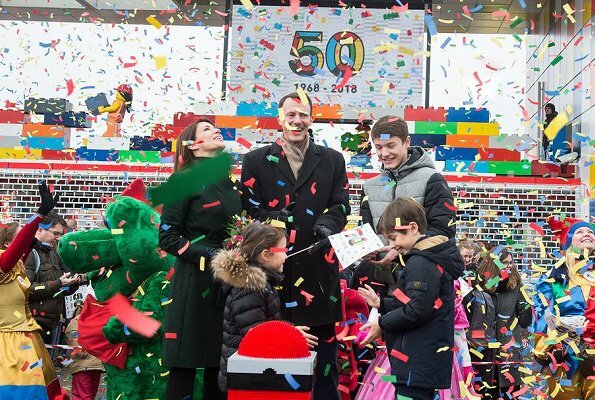 Legoland Billund's 2018 season is at the same time 50th anniversary of opening of the theme park. Legoland was opened on June 7, 1968 as a 14 decare Lego park. The park is currently 45 decares and has been separated into nine theme lands, that is, Duplo Land, Imagination Zone, Legoredo Town, Adventure Land, Lego City, Knight's Kingdom, Mini Land, Pirate Land and Polar Land. How old is Joachim? Standing next to Marie he looks like her father instead of her husband. I always thought he looked older than Fred. I believe he smokes quite a bit which may explain his older appearance. Yes, he smoked and it takes a toll. Queen Margarethe also smoked and has terribly nicotine-stained teeth. I do not know whether either have stopped smoking. However, I do want to say that they are a lovely family and Marie seems to have such a nice personality. He’s 48. Could be the smoking that prematurely ages you. It looked like fun day outdoors with the family. Marie looks lovely in dark green coat. Agree. Meant to say that the dark green coat manages to be causal and elegant at the same time. 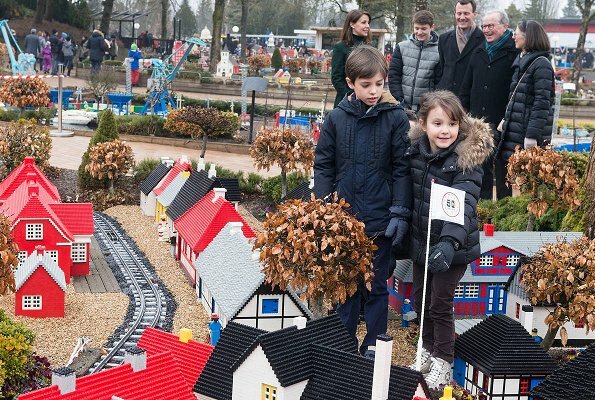 It is very nice to see Prince Joachim, Princess Marie and their children enjoying at LEGOLAND. 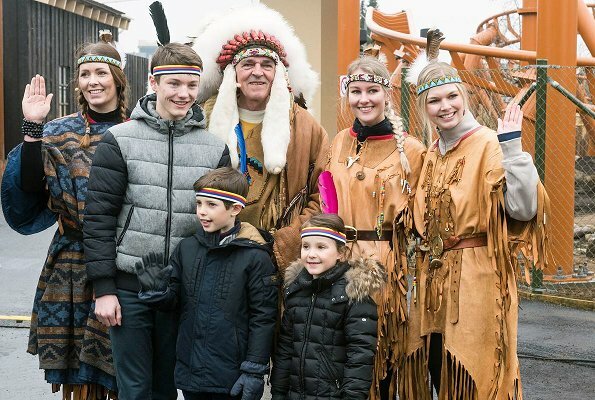 Those Native American costumes would have caused a great fuss in North america - not PC, cultural appropriation etc. I guess the Scandinavian countries live in a cultural bubble. 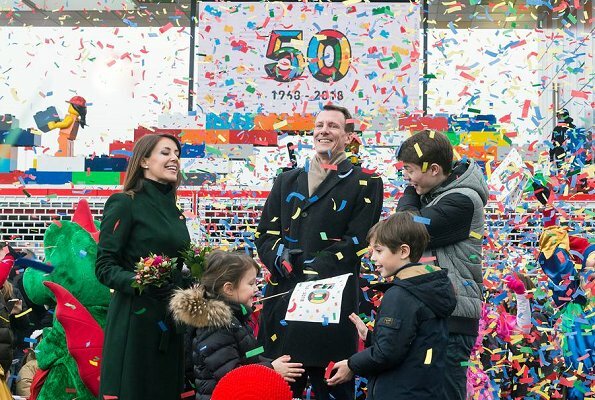 Yes, Prince Joachim looks much older than his 48 years …… and with four young children and his lovely wife Marie, he should show a little more consideration and think a little more about his health and smoke less or quit smoking!! I've seen pictures of Joachim in running attire. Running outdoors and smoking both take their toll on the skin. I'm an American and I hear the calls for social justice all the time. Yet here I see two cultures, Danish and Native American, who have something in common because they both enjoy the outdoors. Lego might have already consulted someone on the headdresses, but encouraging children's creativity and learning through play is important, too. Fashion? its warm enough to not wear hats, even on a roller coaster!